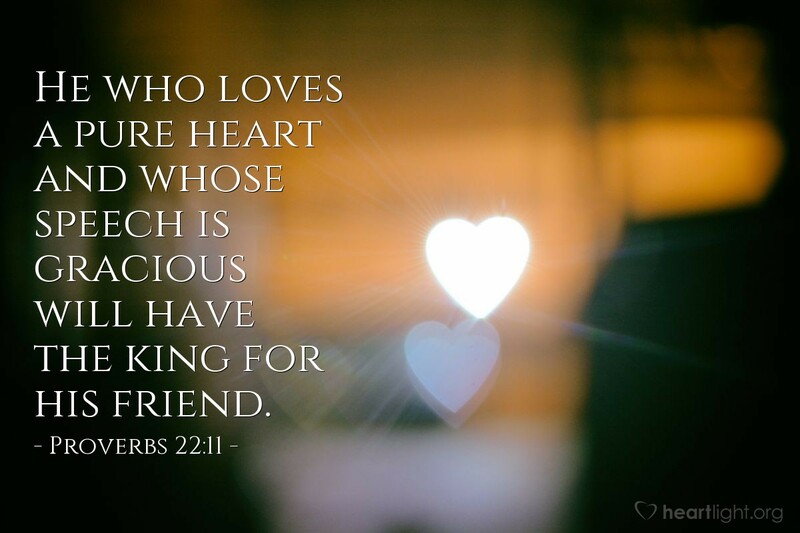 He who loves a pure heart and whose speech is gracious will have the king for his friend. Daily Wisdom is a free daily devotional for Christians featuring wise counsel found in Scripture. Get Daily Wisdom by EmailJoin 1/4 Million Daily Readers!